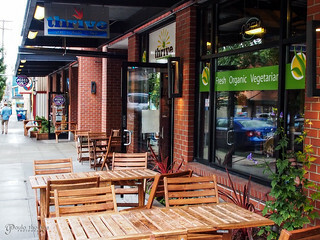 Thrive Cafe is a vegan restaurant located in Ravenna, not far from the University of Washington. They will will be opening another location in Bellevue Crossroads but not until winter 2014. I'm not vegan or vegetarian but there are a lot of Seattlites that are and this lifestyle seems to be growing in popularity. 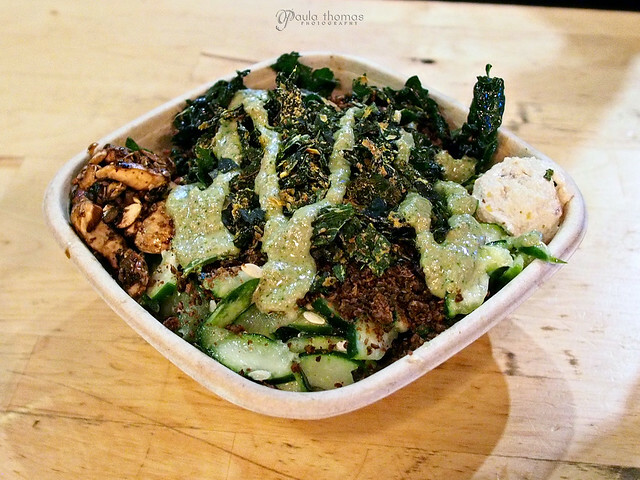 The majority of their menu features raw organic foods and they have a great selection of juices and smoothies and even offer juice cleanse packages. They are much more than just a restaurant as they offer a variety of demo and hands on classes at Tummy Temple's kitchen down the street. 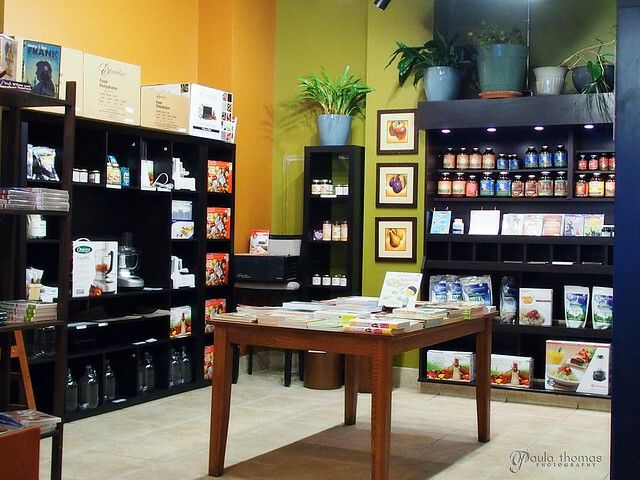 They even have a store attached to the cafe where they sell books, health supplies and kitchen gadgets like dehydrators and juicers. We stopped by for a quick bite to eat before a photography meetup at the University. We both went with grain bowls which are filled with steamed bhutanese red rice and quinoa and topped with a variety of fresh and organic vegetables and sauces. 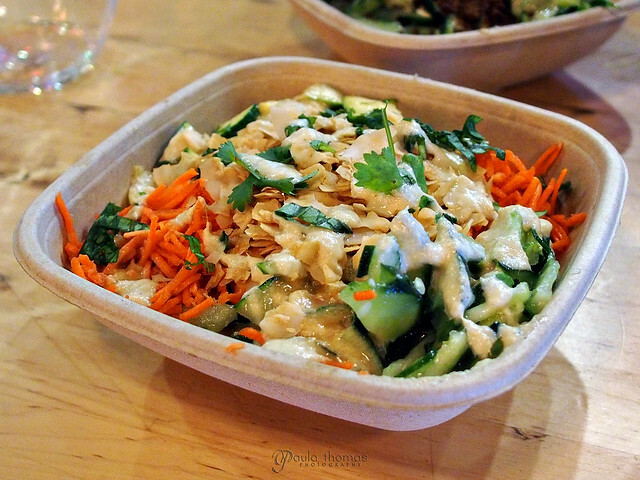 I love the flavors of thai food so I went with the thai bowl and Mark went with the buddha bowl which seemed to be a little bit of everything. We tried each other's dishes as we usually do and we both preferred my thai bowl. We almost got it to go but decided to stay so I could get better presented photos of the dishes. It didn't really matter as it seems they use the same recycled bowls to go as they do to stay. We didn't try any of the juices or smoothies but I did check out the options. Apple appeared to be the base of most of their juices but their smoothies have a much wider variety of ingredients and in fact I didn't see one smoothie that was made with apple. They have fun names for all their drinks like Oh My Wonka, The Green Hornet and Coconutty. If we make it back I want to try one of their smoothies, I've heard they are delicious.